Dr. Bashshaar Awwad said in his Tahqeeq of in the tahqeeq of above hadith: Humaidy (449), Musnad Ahmed (5/382), Sharh Mushkil al-Aathaar (1226, 1227, 1228, 1229), Baghwi(3895). Written By bro salamz & ahlusunnah. I saw many shia’s break fast, when the sky becomes dark! Which may take approx. 15mins more as compared to sunni’s. Means isha time is defined by “when the red glow of the even twilight (“diffused light from the sky when the sun is below the horizon” or “This is the time before sunrise and after sunset where it is still light outside, but the sun is not in the sky”) disappears”.. This means time of maghrib [or breaking fast] is before the arrival of isha.. means just before when the the red glow of the even twilight is disappered..
this looks same as what sunni’s do!! But shia break fast when there is some darkness!! But above Ali (ra) said “The Maghrib prayers should be performed when people break their fasts “!! this means ali (ra) break his fast before the darkness appear i.e. sun is not visible but sky have little redness (same as what sunni’s do)!! It is made lawful for you to have sexual relations with your wives on the night of As-Siyam (fasting). They are Libas ﴿i.e., body-cover, or screen﴾ for you and you are Libas for them. Allah knows that you used to deceive yourselves, so He turned to you (accepted your repentance) and forgave you. So now have sexual relations with them and seek that which Allah has ordained for you (offspring), and eat and drink until the white thread (light) of dawn appears to you distinct from the black thread (darkness of night), then complete your fast till lail. And do not have sexual relations with them (your wives) while you are in I`tikaf in the Masjids. These are the limits (set) by Allah, so approach them not. Thus does Allah make clear His Ayat to mankind that they may acquire Taqwa. the arabic dictionary lail described the night time from the sun set. 1.2. Now lets move further to extremely interesting narration in shia book “Amaali al-Sadooq” by Ibn Babawaih al-Qummi. The Shi’a argue that Iftaar (breaking of fasting) must be done when it is night. That the sign for knowing it is night, is the interlacing of stars. Interestingly, their Imams say they seek refuge in Allah and disown anyone who breaks his fast when stars interlace with each others. Tuesday, last day of Rabie’ II, 368 h.
Whoever delays Maghrib until stars interlace with each others for no good reason, I disown him before Allah. All narrators are thiqa except daeef Sahl b. Ziyad. Al-Sadiq said: If (When) the sun falls, breaking of fasting becomes lawful, and prayer becomes due. 3. Here is what Sheikh Al-Toosi has said concerning the time of Maghrib. 4.1. This is from al-Kafi and it is the traditional position as explained by Shaykh Tusi above. Reported to us, Muhammad bin al-Hasan bin Ahmad bin al-Waleed, from Muhammad bin al-Hasan al-Saffaar from al-‘Abbaas bin Ma’roof from Ali bin Mehziyaar from al-Hasan bin Sa’eed from ‘Alee bin al-Nu’maan from Dawood bin Farqad saying: I heard my father asking Aboo ‘Abd Allaah al-Saadiq about the time Maghrib begins. He said: when its rim disappears. He asked: What is its rim? he said: its disk. (My father) Said: How do we know the disk disappeared? he said: if you looked and did not see it. Source: Al-Amaalee lil-Sadooq, pg. 79 & it is Saheeh because all narrators are reliable. Reported to us my father, saying: Narrated to us Sa’d bin ‘Abdullaah, from Aboo Ja’far Ahmad bin Muhammad bin ‘Eesaa & Moosaa bin Ja’far bin Abee Ja’far al-Baghdaadee, from Aboo Taalib ‘Abdullaah bin AS-Salt al-Qummee, from al-Hasan bin Alee bin Faddaal from Dawood bin Abee Yazeed from al-Saadiq Ja’far bin Muhammad saying: When the sun sets, the time of Maghrib has entered. Comment: So it is permissible to pray at earliest when the sun disk disappears. ج1) إذا غاب قرص الشمس فقد دخل وقت الصلاة وجاز الإفطار. When i asked the question to one of the shia about: why u break fast after 10-15min. !! He said: Shia break their fast about 10-15 minutes later. They doubt the sun went down! so to make sure they wait. if u think about its actually better to extend ur fast just a few more minutes cause if you broke ur fast a few minutes earlier than when ur suppose to break it, ur whole day’s worth of fasting is gone and does not count and you must re-fast that day!! What science says: When the sunsets,, the sun appears 2-3min above the horizon bcoz of the refraction of light through the atmosphere..
i.e. shia break fast (after 10-15min. of sunni’s time) when darkness just arrives.. means sun is much below the horizon.. (means 10(or 15)+2=12-17min or 10(or 15)+3=13-18min later..) not above the horizon which they fell doubted..
Now it is proved that shia think when the darkness comes this means sun is below horizon but this is not true scientifically & according to arabic dictionary. Makhul al-Shami (d.116/734), author of a Kitab al-Sunan. Abd al-Malib b. Jurayj (d.150/767), author of al-Jami’ and/or al-Sunan; these works of his were copied by his student Hajjaj b. Muhammad (d.206/821). A small work entitled Juz’ Ibn Jurayj has by this Imam been published by Dar al-Kawthar, Riyad 1412. It contains 73 narrations with full Isnad. The Jami’ has been discovered by Fuat Muhammad Sezgin, author of the Tarikh Turath al-‘Arabi, and edited. The work can be found also at the end of the edition of the Musannaf of Abd al-Razzaq, ed. by Habib al-Rahman al-A’zami. It is a major source with more then 1600 narrations with Sanads. His book Kitab al-Manâsik has been published and is one of the oldest existent works. It contains besides ahâdith also athâr of Companions and Followers. But the biggest part are questions and answers by the author and others. A major authority in this book is the well-known late Follower Qatâda b. Di’ama al-Sadusi, that some thought that Qatâda is the author but that is not correct. The book has been edited by ‘Amir Hasan Sabri and published by Dar al-Bashâ’ir in 1421. There exist a book published by Dar al-Nafa’is in Beirut in 1993 known as: Sunan al-Awza’i: Ahadith wa-Athar wa-Fatawa. This is not composed by Imam al-Awza’i himself. For quotations from his books see also Abu Yusuf’s Radd ‘ala Siyar al-Awza’i and al-Shafi’i’s K. al-Umm. Ibn Abi Dhi’b (d.159/776), author of a Kitab al-Sunan. The book mentioned as al-Sunan by Ibn al-Nadim is probably a book authored by this Imam under the title al-Muwatta’. This Muwatta’ has been compiled before that of Imam Malik. The work(s) have not been found. Sufyan al-Thawri (d.161/778), author of al-Jami’ al-Kabir and many other works; al-Thawri dictated this book of his own to Abdallah b. al-Walid al-‘Adani. No book of his has been found, beside a small Hadith manuscript and the Tafsir published in Pakistan. Ibrahim b. Tahman al-Khurasani (d.163/780), author of a Kitab al-Sunan. Part of this lost Sunan has been found and published from a manuscript, Zahiriyyah, bearing the title “Mashyakha”, which is a mistake by a copyist. The hadiths (208) contained in this ms are probably part of his Chapter Radd ‘ala’l-Jahmiyyah, similar to the Chapters of the Sunan Abu Dawud, Sunan Ibn Maja etc. This part has been edited by Muhammad Tâhir Mâlik and published in Damascus 1403. Za’ida b. Qudamah (d.163/780), author of a Kitab al-Sunan which was transmitted by Mu’awiya b. ‘Amr al-Azdi (d.214/828). Hammad b. Salama (d.167/783), author of a Musannaf and other books. None of his works have been recovered. al-Rabi’ b. al-Sabih (d.170/786), author of a Musnad which is published. A Juz’ fihi Majlis Fawâ’id al-layth b. Sa’d has been published from him by Dar ‘Alim al-Kutub lil-Nashr wa’l-Tawzi’, Riyas 1407. The Risalah send to Malik is published many times, the latest in a nice collection by Abu Ghuddah. Malik b. Anas al-Asbahi (d.179/795), author of al-Muwatta which is a Jami’ and well-known. al-Nasa’i (d.303) authored the Musnad Malik. There are other Masânid to, published also. Hadith Isma’il b. Ja’far is a fine collection of 473 narrations, published in 1418 by Maktabat al-Rushd. Many narrations in it are Thulatiyyât (that is: narrations containing just three narrators till the Prophet). Published as: Musnad Abdallah b. al-Mubarak, wa-yalihi Kitab al-Birr wa-Silah. Edited by Mustafa Uthman Muhammad, Dar al-Kutub al-‘Ilmiya, Beirut 1991. An earlier edition by Subhi al-Badri al-Samarri, published by Maktabat al-Ma’arif in Riyad, is also fine. Ibn al-Mubarak authored beside the Musnad also K. al-Jihad and K. al-Zuhd, both edited. The K. al-Jihad has been published in 1972 in Tunis and edited by Naziha Hammad. The K. al-Zuhd has been published in 1419 by Dar Kutub al-‘Ilmiyyah by Habiburrahman al-A’zami. The K. al-Zuhd contain much more narrations than the Musnad (272 ahadith). Isma’il b. ‘Ayyash (d.181/797), author of a Musannaf and other books. The Imam and Qadi Abu Yusuf, student of Imam Abu Hanifah, is the author of the Kitab al-Athar published many times. It contains many ahâdith (especially on the authority of Abu Hanifah) in the form of a Sunan (i.e. starting with al-Tahara etc); at least 1000 narrations it contains. An early publication – and the first – is the 1355 Hyderbad ed. by Abu’l-Wafa al-Afghani. He’s one of the first major teachers of Imam Ahmad, and he reported much from him. He also authored a Tafsir and a book on Qira’at. Ibrahim b. Muhammad Abu Yahya al-Aslami (d.184/800), author of al-Muwatta’ – a larger book than that of Imam Malik. His Kitab al-Zuhd contains 268 ahâdith and is edited also by ‘Amir Hasan Sabri and published by Dar al-bashâ’ir al-Islamiyyah in 1420. Another famous student of Imam Abu Hanifah, al-Shaybani is the author of a Kitab al-Athar. Also edited by Abu’l-Wafa al-Afghani and published several times it incl. some 266 narrations with Isnads. He published also Malik’s Muwatta’ in his own amended version. Isma’il b. Ibrahim al-Azdi, known as Ibn ‘Ulayyah (d.193/809), author of K. al-Tafsir, K. al-Taharah, K. al-Salat, and K. al-Manasik – probably part of a bigger Musannaf-work. His Kitab al-Du’a in manuscript can be found at the Zahiriyyah, Syria. Waki’ b. al-Jarrah (d.197/812), author of a Musannaf transmitted by ‘Abbas b. Warraq (d.233/847) and quoted by Imam Ahmad in his Musnad. Part of the lost Musannaf consist probably of his Kitab al-Zuhd, which has been published by the Mu’assasat al-Kutub al-Thaqafiyyah, Beirut 1993. Abdallah b. Wahb (d.197/812), author of al-Jami’, al-Muwatta and a Musnad, the latter being transmitted by Muhammad b. Abd al-Hakam al-Misri. As for the Jami’, a part of it which has been found recently, then it has been published in Germany by Miklos Muranyi as: al-Gami’. Die Koranwissenschaften, in Wiesbaden, 1992. As for the Muwatta’, then it isn’t Malik’s Muwatta in the riwaya of Ibn Wahb, but another book of Abdallah b. Wahb in which he made use of the famous Mu’watta. This book has also been published – partly – by M. Muranyi in Wiesbaden, 1992. A small collection of his narrations is published. Rabi’ b. Habib al-Farahidi (d.2nd century), author of a Jami’. The book is known as al-Jami’ al-Sahih, used in particular by the ‘Ibadiyyah. The work reports Hadiths from Abdallah b. ‘Abbas, ‘Aysha b. Abi Bakr and others, mostly through Basran Shuyukh. The work has been published more than once; the latest is the 4-volume edition by Dar al-Hikma, Beirut, and Maktabat al-Istiqama, from Oman, in 1995. One of the earliest preserved Musnad-compilations. The first modern publication is from Hayderabad, dated 1321. The newest publication is the 1999 4 volume edition from Muhammad b. Abd al-Muhsin al-Turki with the help of the Markaz al-Buhuth wa’l-Dirasat al-‘Arabiyyah wa’l-Islamiyyah of Dar Hajar. The book al-Sunan al-Ma’thur by Imam al-Shafi’i is authored by him and narrated through al-Tahawi from al-Muzani. It contains 625 ahâdith and is publsihed by Dar al-Ma’rifah in Beirut 1406. Published in two volumes by Habib al-Rahman al-A’zami in: Manshurat al-Majlis al-‘Ilmi, in Karachi, 1963, also by the Majlis al-‘Ilmi. He has other works published, such as the most important Gharib al-Hadith. The Sunan Sa’id b. Mansur has been published by Dar al-Sumay, Riyad, in five volumes in 1993. The editor is Sa’d b. Abdallah b. Abd al-‘Aziz Âl Humayyid. The publication of this Sunan edited by Habib Abd al-Rahman is in a volume is outdated. Only the Kitab al-Fitan has been found and edited. Unfortunetaly, 80% of all narrations are weak and many are spurious. He has a Kitab al-Zuhd published by Dar Ibn Hazm 1424 and before. It contains 539 narrations, many of which ara ahâdith. There is also a Nuskhat ‘an al-A’mash published from him in 1986 containing 41 narrations. The earliest publication, as far as we know, is by Maktabat al-Falah, Kuwayt, in 1985, in 2 volumes as Musnad Ibn al-Ja’d. The editor is Abd al-Mahdi b. Abd al-Qadir b. Abd al-Hadi. Later published also as: Musnad Ibn al-Ja’d, in Beirut, 1990, by Dar Kutub al-‘Ilmiyyah. The editor ís ‘Amir Ahmad Haydar. There exist an hadith-collection of his in manuscript-form in Koprulu, Turkey. Nothing has been found of his Musnad, but the Kitab al-‘Ilm – maybe part of a Musannaf book – has been published in 1966 and edited by Muhammad Nasir al-Din al-Albani. Abu Bakr b. Abi Shayba (d.235/849), author of a Musannaf and a Musnad. His book al-Musannaf has been published for decades now, as: al-Kitab al-Musannaf fi’l-Ahadith wa’l-Athar, in 15 volumes. Edited by Abd al-Khalqi Khan al-Afghani, Mukhtar Ahmad al-Nadwi and ‘Amir al-‘Umari al-Azami, in Bombay 1399-1403/1966-1983. There are also two later published editions, both from 1989. Besides this voluminous work he authored alo many other books, incl. a K. al-Iman, published in 1966 by Muhammad Nasir al-Din al-Albani, and a K. al-Adab, Zahiriyyah, Syria. As for the Musnad, which is less known with the general public, then it has been published in two volumes by Dar al-Watan in 1997, Riyad. The editors are Abu Abd al-Rahman ‘Adil b. Yusuf al-Ghazzawi and Abu’l-Fawaris Ahmad Farid al-Mazidi. The part of ‘Aysha b. Abi Bakr has been edited by Jamilah Shawkat, and published by Kulliyat al-‘Ulum al-Islami wa’l-Sharqiyyah of the University of Punjab in 1991 as: Musnad Aisha bint Abi Bakr al-Siddiq. There exist also an earlier publication of the Musnad Ishaq b. Rahawayh, edited by Abd al-Ghafur Abd al-Haqq Husayn Burr al-Balushi. This edition has been published in adinah by Maktabat al-Iman in 1990. Its not known to us whether this is the same work, or a larger recovery of the Musnad of Ibn Rahawayh. Khalifah b. Khayyat al-‘Usfuri (d.240/854), author of the famous Tabaqat and Tarikh. There’s a book published in 1985 by the well-known scholar Akram Diya al-‘Umari as: Musnad Khalifah b. Khayyat: ahadith majmu’ah. Whether this is a new found collection or a reconstructed one by the editor is not known to us. It is in 115 pages and published in Beirut. Imam Ahmad’s al-Musnad is famous. Its real author is his son, Abdallah b. Ahmad (d.303), who edited the Hadiths of his father in one book. The 30.000 hadiths collected in it has been published many times; the best publications are that of Ahmad Muhammad Shakir, Cairo 1949-1955, by Dar al-Ma’arif, and Shu’ayb al-Arna’ut, Beirut. There’s also a nice edition by Abdallah al-Darwish and Abu’l-Fida al-Naqid, published in 10 volumes by Dar al-Fikr in 1991, Beirut. If I remember well: Shu’ayb counted 27.000 narrations. al-Asamm, Muhammad b. Ya’qub (d.246/860), author of the Musnad al-Shafi’i. 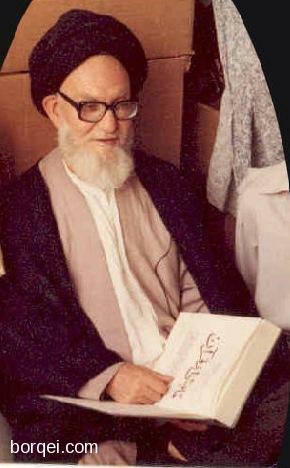 His Musnad Sa’d b. Abi Waqqas has been published by Dar al-Basha’ir al-Islamiyyah in 1987, in Beirut. The editor is ‘Amir Hasan Sabri. Part of his book has been published as: al-Muntakhab min Musnad ‘Abd b. Humayd by ‘Alam al-Kutub, Beirut, in 1988. It has been edited by Subhi Badri al-Samarra’i and Mahmud Muhammad al-Sa’idi. The Sunan al-Darimi, edited by Fawwaz Ahmad Zamarli and Khalid al-Sab’a al-‘Alami in 2 volumes. Published in 1987, Beirut, by Dar al-Kitab al-‘Arabi. There is a Tartib of the Sunan al-Darimi publsihed by Maktabat al-Rushd, Riyad, in the same year. Nothing of his many Musnad and Musannaf-books ahve been found, but there exist according to Sezgin a manuscript in teh Zahiriyyah, Syria, entitled: Juz’ fih khabar Ahmad b. al-Furat. Part of it: al-Juz’ al-‘Ashir min Musnad Amir al-Mu’minin ‘Umar b. al-Khattab ‘an al-Nabi, has been published, as Musnad Amir al-Mu’minun ‘Umar b. al-Khattab. The editor is: Kamal Yusuf al-Hut; publisher: Mu’assasat al-Kutub al-Thaqafiyyah, Beirut, 1985. The publication entitled as al-Juz’ al-‘Ashir.. has been published earlier on in 1970, but the editor is unknown. There seems to exist also an early 1940 Beirut publication. His Kitab al-Zuhd has been quoted in the Isaba of Ibn Hajar; many of his hadiths have been recorded by Ibn Abi Hatim al-Razi in his Taqdima, Jarj wa’l-Ta’dil and other works. A Juz’ min al-Musnad of his, see Sezgin, can be located in the Zahiriyyah, Syria. His Musnad ‘Abis al-ghifari wa-jama’a min al-sahaba, see Sezgin, can be loacted in the Zahiriyyah, Syria. The fahrasa (index) of this lost Musnad, may Alllah recover it!, has been edited in a short work based on Ibn Hazm and other sources. His hadiths (as quoted from the Musnad) can be found in the works of manu Andalusians, in particular Ibn Hazm and ibn ‘Abd al-Barr. A work known as al-Muntaqa min hadith Baqi b. Makhlad wa-Hannad wa’l-Farisi wa’l-Jawhari wa-min amâli Ibn al-Samarqandi mentions in all probability the lost riwayat of Hadith of this Imam; the work can be found in the Zahiriyyah, Syria. A Kitab al-Zuhd can be located, according to Sezgin, in the Zahiriyyah, Syria. For references to his hadiths, see Ibn Abi Hatim al-Razi’s books. He authored a Musnad, part of it discovered, published as Musnad Abd al-Rahman b. ‘Awf: Riwayat Abu Sahl Ahmad b. Muhammad b. Ziyad al-Qattan. It has been edited by Salâh b. ‘Ayid al-Shallâhi, and the publisher is Dar Ibn Hazm, Beirut 1994. Part of this Musnad is al-Muntaqa, a manuscript in Cairo, and al-‘Awali al-Mustakhraja min Musnad al-Harith, in the riwayat of Abu Bakr Ahmad b. Yusuf b. Khallad (d.359/969), a manuscript in the Zahiriyyah, Syria. His Musnad Abu Hurayra is in the Zahiriyyah, Syria. al-Musnad has been edited and published. His Musnad Abu Bakr al-Siddiq, part of a greater Musnad in all probability, has been published in Beirut, in 1390; the editor is Shu’ayb al-Arna’ut. Another hadith-collection of his, known as Hadith Abu Bakr al-Marwazi, can be found in the Zahiriyyah, Syria; the same counts for his K. al-Wara’, which has been edited and published. His Musnad has not been found yet, but quoetd by Ibn Hajar in the Isaba. A collection of his Forty Hadiths has been located in the Zahiryyah, Syria. Musnad Abu Ya’la has been published more then once. The latest, and greatest, publication is by Dar al-Ma’mun li’l-Turath, Damascus, in 16 volumes, edited by Husayn Salim Asad, between the years 1984-1994. Musnad al-Ruyani in 3 volumes is a precious collection of Hadiths, collected by Abu Bakr Muhammad b. Harun al-Ruyani. Editor is Ayman Ali Abu Yamani, published by Mu’assasat Qurtubah in 1995. His Jami’ al-Musnad can be found in the Zahiriyyah, Syria. He authored the Musnad Amir al-Mu’minun Umar b. Abd al-‘Aziz, edited by Muhammad ‘Awwama, published by Maktabat Dar al-Da’wah, Aleppo, in 1397. There’s also another publication of this Musnad by the Maktabat al-Thaqafah al-Diniyyah, Cairo, in 1986. The editor of this publication is Abu Hajar Muhammad al-Sa’id b. Basyuni Zaghlul. Ibn al-Baghandi is also the author of other recently found books. Part of this Musnad can be located in the Zahiriyyah, Syria. For the first time, al-Musnad, published by Da’irat al-Ma’arif al-‘Uthmaniyyah, Hayderabad, in 1362/1943. In 1995, Maktabat al-Sunnah, in Cairo, published an additional part of this Musnad as: al-Qism al-Mafqud min Musnad Abi ‘Awana: al-mustakhraj min Sahih Muslim; the editor is Ayman ‘Arif al-Dimashqi. Part of this work is: Musnad ‘Aisha, see Sezgin, in the Zahiriyyah, Syria. Published as Musnad al-Hibb b. al-Hibb Usama b. Zayd by Dar al-Diya’, Riyad in 1989, and edited by Abu Ashbal al-Zuhayri Hasan b. Amin ibn al-Manduh. Sezgin, mistakenly, ascribed the work to Abu’l-Qasim al-Baghawi, Yazid b. Bint Ahmad b. Mani’, born in 213/828 and died in the same year as the well-known Imam al-Baghawi. al-Baghawi is also the author of a Mu’jam, Tarikh, Masa’il Ahmad b. Hanbal and other works. The Musnad Abu Bakr al-Siddiq has been located in the Zahiriyyah, Syria. His ‘Ilal al-Hadith has been published in 2 volumes in Cairo in 1926, also his K. al-Marasil in Hayderabad in 1341. Hadiths of his can also be found in his great Jarjh wa’l-Ta’dil, the Taqdima, and a single manuscript entitled as: Hadith, in the Zahiriyyah, Syria. Layman Shia always bark that when their is any sunni hadith in the favour of ahul-bayt(as) then your sunni alims graded them weak! i.e. why you sunni’s are nawasib (i.e. hater of ahul-bayt of rasoo-allah) & lover of ummayyad! 1)	The hadith of Anas bin Malik that the Prophet said, “Oh Mu’awiyah, this is a pen given to you by your Lord.” This hadith has been called a fabrication by Ibnul Jawzi in his Mawdoo’aat 2/250, Al-Thahabi in Al-Siyar 3/129, and Al-Shawkaani in Al-Fawa’id Al-Majmoo’a #403. 2)	The hadith of Abdullah bin Omar that the Prophet said that Mu’awiyah will receive ajir every time someone reads Ayatul Kursi because he wrote it. 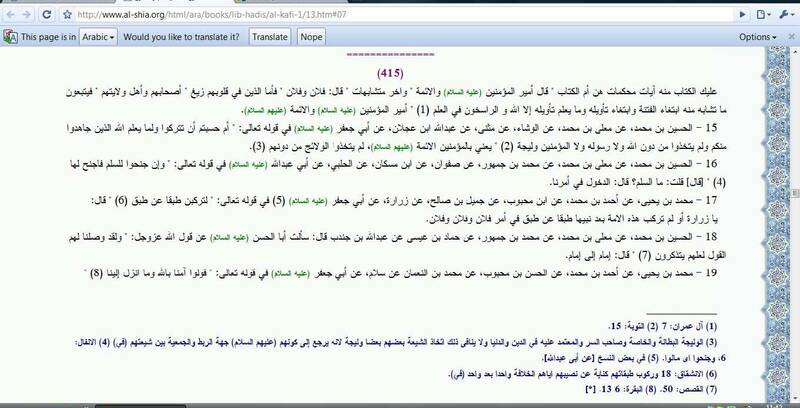 This hadith has been called a fabrication by Ibnul Jawzi in his Mawdoo’aat 2/251. 3)	The hadith of Abu Musa Al-Ash’ari that the Prophet said after Mu’awiya wrote down Ayatul Kursi, “May Allah forgive your sins up until the day of judgement O’ Mua’wiyah.” Weakened by Al-Thahabi in Siyar A’alam Al-Nubalaa’ 3/129. 4)	The hadith of the Prophet , “Those that are trustworthy are three, me, Jibreel, and Mu’awiyah.” This has been called a fabrication by Al-Nasa’ee, Ibn Hibban in Al-Majrooheen 1/160, Ibn Adi in Al-Kamil 1/315, Al-Khateeb Al-Baghdaadi in Tareekh Baghdad 8/12, Ibnul Jawzi in his Mawdoo’aat 2/253, Al-Thahabi in Al-Siyar and Mizan Al-I’itidal 3/130 – 1/126+503, Ibn Katheer in Al-Bidaya 8/123, and Ibn Hajar in Al-Lisan 1/568. 5)	The hadith of Abdullah bin Bisr that the Prophet said, “Mu’awiyah is strong and trustworthy.” This hadith is mursal (weak) according to Ibn Abi Hatim in his Ilal 4/46. 6)	The hadith of Jabir bin Abdullah, Ali bin Abi Talib, and Ibn Abbas that Jibreel came to the Prophet and told him to let Mu’awiya write because he is trustworthy. A fabrication according to Ibnul Jawzi in his Mawdoo’aat 2/252+254, and weak according to Ibn Adi in Al-Kamil 2/99, Al-Thahabi in Al-Mizan 3/630, Al-Zayla’ee in Takhreej Al-Kashaf 1/445, Ibn Katheer in Al-Bidaya 8/123, Al-Haythami in Majma’a Al-Zawa’id 9/360, Al-Suyuti in Al-La’ali’I Al-Manoo’a 1/419, and Al-Shawkaani in Al-Fawai’d # 404. 7)	The hadith of Anas and Abu Huraira that the Prophet gave Mu’awiyah an arrow and said to him, “Take this arrow until we meet in heaven.” Weak and fabricated by Ibnul Jawzi in Al-Mawdoo’at 2/258, Ibn Adi in Al-Kamil 8/375, Al-Thahabi in Al-Siyar and Al-Mizan 3/130 – 3/332, Ibn Hajar in Al-Lisan 6/297 + 8/377, Al-Shawkaani in Al-Fawa’id #405, and Al-Ma’alami in Al-Anwar Al-Kashifa #209. 8 )	The hadith of Huthaifa bin Al-Yaman in which the Prophet says, “Mu’awiya will appear in cloak of light.” Fabrication by Ibn Hibban, Ibn Al-Qaysaraani, and Al-Thahabi. 9)	The hadith of Anas in which the Prophet says that he meets his companions in heaven with the exception of Mu’awiya who he meets after seventy to eighty years. Then Mu’awiya says that he was in a garden under the throne of Allah. A fabrication according to Ibnul Jawzi, Al-Thahabi, Ibn Adi, Al-Khateeb Al-Baghdaadi, Ibn Asaakir, and Al-Shawkani. 10)	The hadith of Uthman bin Affan that the Prophet said, “Congratulations O’ Mu’awiyah, you have become trustworthy of the news from the heavens.” Fabrication according to Al-Thahabi in Al-Siyar. 11)	The hadith of Al-Shadad bin Aws that the Prophet said, “Mua’wiyah is the most generous from my ummah.” A fabrication according to Ibn Asakir, Ibnul Jawzi, and Ibn Hajar. 13)	The hadith of Abdullah bin Omar that the Prophet said, “A man will appear from this door and he will be one of the people of paradise,” then Mu’awiya entered. A fabrication according to Ibn Adi, Al-Thahabi, and Ibn Hajar. Note: The first book of shia published when shia 12th imam went into GHAIBAT-E-KUBRA! GHAIBAT-E-KUBRA(when 12th imam hides): START IN YEAR 339 HIJRI STILL ON…. Comment: I want you to think on the dates of Shias and Sunnis. Why the dates were so late in SHIA? What were they composing? Which weak Hadith? The answer is simple. Every one knows what they were doing! 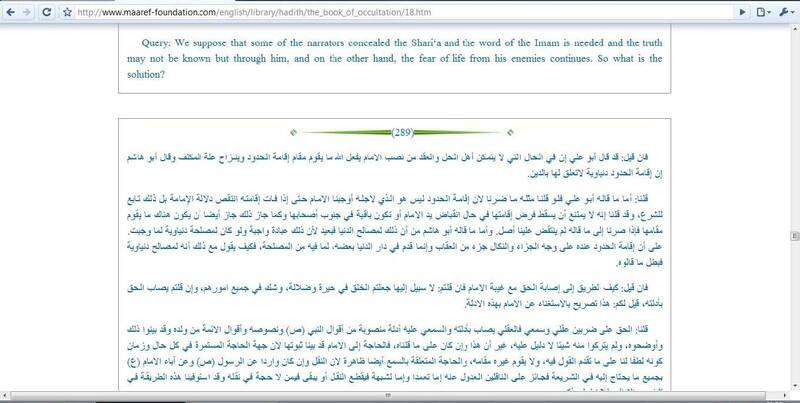 Lets see what shia alim believe about the bravery of the only personality namely shia imam mahdi(as)! Why Does the Mahdi of the Twelvers not appear??? Let me tell you Why, According to about 90% of their Scholars Al Mahdi does not appear because he IS AFRAID of Death, Even the Biggest Shia Scholar Sheikh al taefa SHEIKH Al TUSI says that There is NO explanation/excuse as to why he doesn’t appear except that He fears for his Life! Comment: Not only that, This Mahdi will never appear because his fear will persist as his enemies are literally everywhere from the Wahhabies LOL of Saudi to the US government…Not only that but They claim the abbasides were tracking him down ad seeking his blood with spies and whatever … Yet He had FOUR FAMOUS emissaries walking around and claiming to talk to the Mahdi and giving fatwas and taking people’s money … Yet No One decided to spy on one of these four emissaries and track his mvmnts to get to the Mahdi. NOT only that but Many GIANT STRONG Shia states appeared and disappeared and he never showed up or asked for their protection, Like the Fatimi state and the Safavid State and the Obaidi State and the Bahlouli state and the Khomeini state ect… yet the guy never showed up and never helped these states or joined them. So next time you twelvers Ask Him for HELP against your enemies and you Say YA MAHDI Adrikni or Ya Mahdi Help Me, remember That he needs your help more than you need his and we say in islam that He who Lacks something cannot offer it to others! Indeed your Mahdi Is a coward who fears for his life So Why Would he come to save you??? Although the funny thing is that in Shia narrations of Ghulu The Mahdi is so strong as to make the mountains SHAKE and he can lift a giant tree with his pinky finger… But Since he’s a coward his strength is pretty much useless. Source 2: In Kitâb al-Ghaybah, Bihâr al-Anwâr vol. 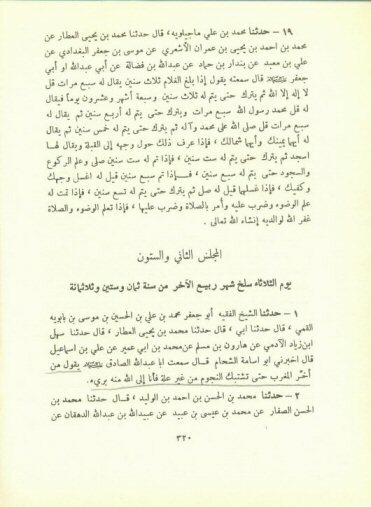 51 by Majlisi in which he narrates the argument of sheikh al-Tûsi. Query: We suppose that some of the narrators concealed the Shari‘a and the word of the Imam is needed and the truth may not be known but through him, and on the other hand, the fear of life from his enemies continues. So what is the solution? If you should say that he will appear despite his fear for his life, it follows that his fear for his life does not warrant his occultation in the first place, and thus, he must appear. If you say that he will not appear and the duties that have not reached the Ummah are not binding, it is an assertion against the consensus (ijmā‘), which says that everything the Prophet (a.s) has introduced in his Shari‘a and has explained it, is imperative and binding to the Ummah until the Day of Judgment. If you say that the duty is still binding, you are suggesting a duty that is beyond our capacity and an obligation to perform a task, which we do not know. Answer: We have answered this question in Talkhīs al-Shāfi in detail. In brief, if Allah knows that some of the narrations pertinent to the biding religious laws have not reached the people in a situation of Imam’s taqiyya and fear from his enemies, He will annul their imperativeness from the people who do not have access them. However, if consensus (ijmā’) proves that religious duties are continuously binding over all of the Ummah until the Day of Judgment, it can be inferred that if such an interruption in transmission of narrations occurs, it will be only in a situation when the Imam is able to appear and make declarations and clarifications. Al-Syed al-Murtadhā (a.s) was lately saying that it is possible that there may be many things that have not reached us and are entrusted with the Imam and the narrators have concealed them and have not narrated them. However, it does not follow that people are not bound by these religious duties, because if the reason of occultation is his fear for his life from the people who have threatened him, the people who have forced him into hiding are ultimately responsible for the missed teachings of the Imam and his leadership, as they forced him into occultation. And if should these people end threatening him, he will appear and the lutf of his leadership will materialize and the teachings he has to offer will manifest. Therefore, he has not caused this concealment of the religious teachings. However, if the enemies do not end the fear and it continues, they are responsible for both cases. This argument is strong and supported by principles. Comment: So the Twelth Imâm who is supposed to bring justice by fighting the oppressors flees into hiding because of the oppressors he is supposed to fight in order to bring justice? Brief translation: reason of his (shia imam mehdi) gayba is his fear of opressors. Comment: Shia Mehdi afraid/fear of opposers i.e. sunni’s!! يا زرارة أو لم تركب هذه الامة بعد نبيها طبقا عن طبق في أمر فلان وفلان وفلان. (5) في بعض النسخ [عن أبى عبدالله]. (6) الانشقاق: 18 وركوب طبقاتهم كناية عن نصيبهم اياهم الخلافة واحدا بعد واحد (في). & majlisi said hadith is sahih as well as behboodi said sahih. Comment: After reading these verses do you got any idea from which angle this verse related to khalifat of first three khalifas! “Weaned after he was breast feeding, and an old man after he was a young man” or “Ease after difficulty, difficulty after ease, wealth after poverty, poverty after wealth, health after sickness, and sickness after health”. Really the minds of shia rafida is completely dump. They even not able to understand the meanings of quranic verses. They always try to co-relate each & every verse with issue of either wilayah/imamah or khalifat. Ya morons, stop this non-sense.